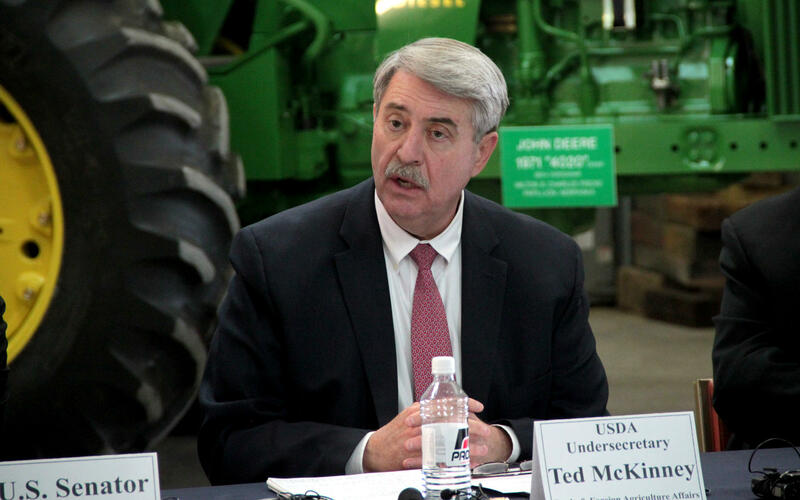 The U.S. Department of Agriculture's undersecretary for trade, Ted McKinney, speaks at a roundtable discussion Wednesday in Omaha, Nebraska. 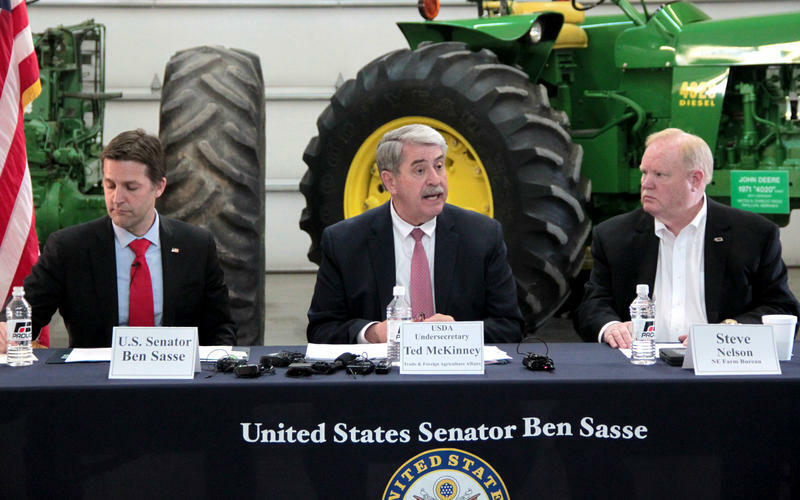 He's flanked by GOP U.S. Sen. Ben Sasse (left) and Nebraska Farm Bureau President Steve Nelson. 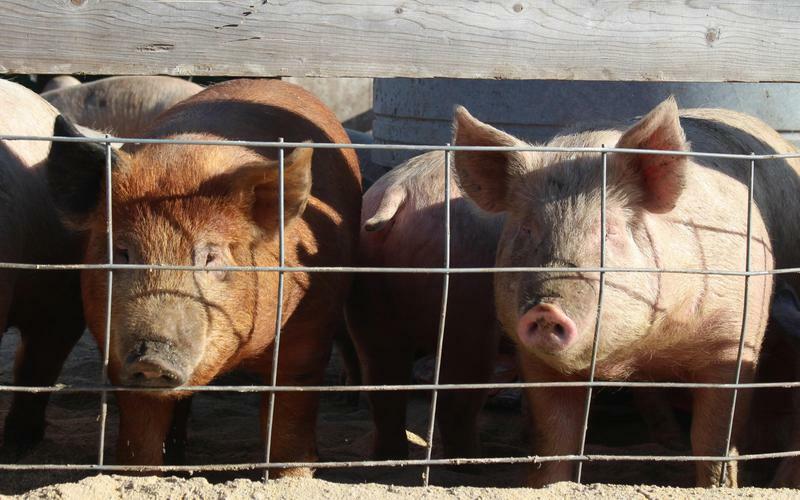 USDA official Ted McKinney says President Trump's tariff dispute with China is meant to stop that country from stealing intellectual property, adding, "we've got to get China to play by the rules."